With a focus on interreligious and interdisciplinary perspectives, the Graduate Theological Union offers PhD and MA degree programs spanning more than 30 concentrations of focus, allowing for diverse educational interests and vocational goals. Students can focus their studies within a single tradition—including Buddhist, Christian, Hindu, Islamic, Jain, Jewish, Wiccan, neo-pagan, and more—or explore interreligious themes. The GTU offers unique opportunities for groundbreaking interdisciplinary scholarship, bringing religion into dialogue with disciplines like the arts and sciences. GTU degree programs offer flexibility that allows students to tailor their program in consultation with their advisor. The GTU educates innovative leaders for the academy, religious organizations, and the nonprofit sector, equipping scholars to embody the critical thinking, ethical frameworks, compassionate values, and spiritual foundations essential to building a more just, peaceful, and sustainable world. This advanced degree builds on the interreligious and interdisciplinary strengths of the GTU, and offers opportunities for both specialization and cross-disciplinary study. 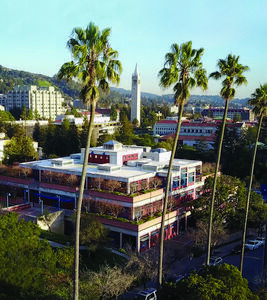 PhD students have access to courses across the union of schools, as well as at UC Berkeley. Our graduates are trained for professional careers in teaching, writing, and scholarship, as well as leadership opportunities with religious organizations, social service agencies, and educational institutions. The MA is a two-year program offered by the GTU in cooperation with its member schools and centers.The program provides a basic understanding of theological or religious studies as preparation for doctoral study or as an academic foundation or secondary school teaching, educational or social justice ministries, or leadership in the nonprofit or religious sector. MA The students have access to courses offered throughout the union, and many courses at UC Berkeley. The GTU offers specialized Certificates that are earned by taking 6-8 classes in a particular discipline, and may be pursued in conjunction with an MA or PhD degree. Prospective degree students may first pursue a certificate, or may apply to a single class as a special student. Community Education courses are offered at a discounted rate for those who wish to take a course for non-academic credit.